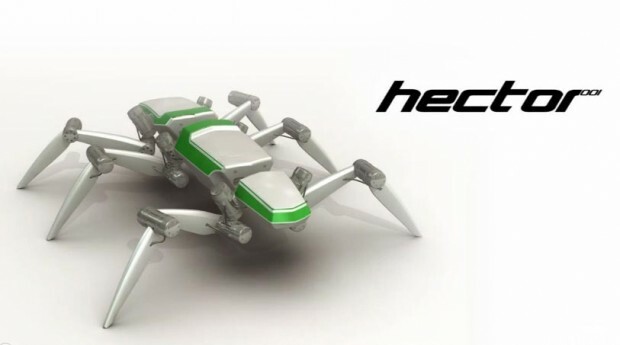 Now the Germans are producing spider-like robots, too: Following the made-in-Japan arachnid Hexapod we’ve shown you just last week, the so-called Hector (which stands for HExapod Cognitive auTonmously Operating Robot) is much bigger (it’s 1m long) and looks much more futuristic than its Japanese counterpart. Hector was jointly developed by the University of Bielefeld and Leibniz Institute of Polymer Research Dresden to explore how future robots could walk and navigate autonomously. 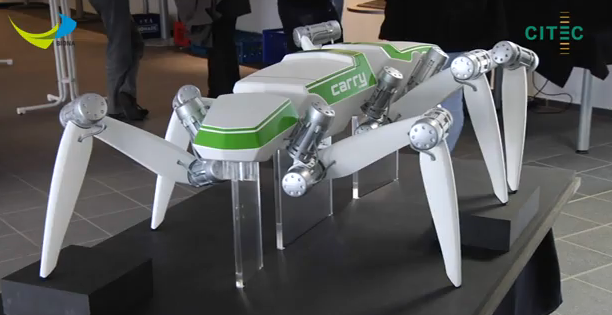 The “cognitive” spider-bot weighs 12kg, has 20 joints and an extra-robust exoskeleton that deforms by only 1mm with a 30kg load.